before I entered your tummy? slipping through a cloud of birds? 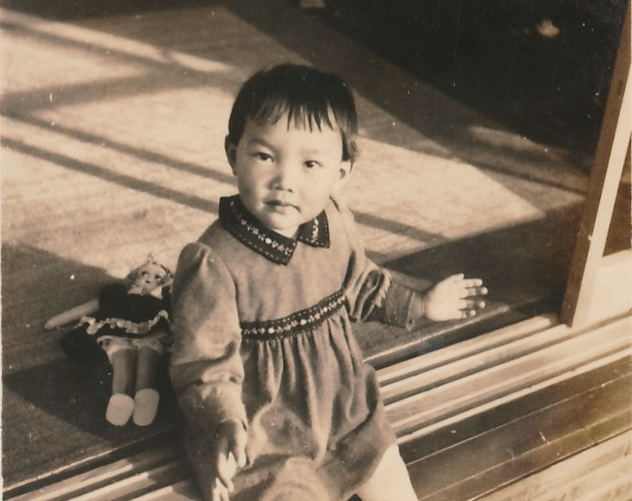 PHOTOGRAPH: Yoko Danno at age three (photo by her father Kobe). NOTE FROM THE AUTHOR: This poem was written at the end of the year of the Snake; next comes the year of the Horse in the ancient Chinese zodiac cycle, which was adopted in ancient Japan and is currently still in use. ABOUT THE AUTHOR: Yoko Danno lives in Kobe, Japan. 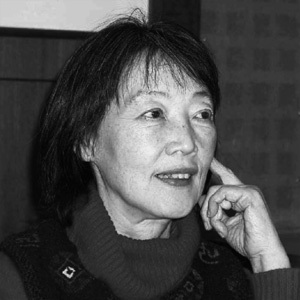 For decades, she has written poetry solely in English. Her poems have appeared internationally in numerous journals and anthologies, online, and in print. Her books of poetry include Epitaph for memories (The Bunny and the Crocodile Press, 2002); The Blue Door, a collaboration with James C. Hopkins (The Word Works, 2006); a sleeping tiger dreams of manhattan: poetry, photographs and sound by Danno, Hopkins, and Bernard Stoltz (The Ikuta Press, 2008, and translated and published in Latvia, 2012); Trilogy & Hagoromo: A Celestial Robe (The Ikuta Press, 2010); and Aquamarine (Glass Lyre Press, 2014). Her translation, Songs and Stories of the Kojiki, the creation myth, songs and historical narratives, compiled in the 8th c., Japan, was published by Ahadada Books (Toronto/Tokyo, 2008, and Red Moon Press, 2014). Visit her at http://ikutapress.com/danno3.html. This is such an elegant, lyrical and touching poem. I’m glad I’ve been introduced to your poetry, Yoko.